Now is the season for fresh leafy greens. We got our garden in a little later than usual this year due to the long, cold winter, but our kale and spinach are growing and almost ready to harvest. Farmers markets in the area are starting to gradually offer more and more fresh greens. One of my favorite things to do in the early summer is walk out into our garden, pick a bunch of greens, wash them, and make a salad. Fresh, crunchy greens are so refreshing and energizing, and so healthy! It seems like everywhere we look, we read about the health benefits of eating greens, especially the dark, leafy ones like kale, collards, spinach, and Swiss chard. Greens are loaded with vitamins, minerals, and fiber. There are lots of sources that talk about the healthy effects of eating greens. A helpful one I found has a detailed description of the vitamins and minerals in different types of greens, and is available at www.webmd.com/diet/healthy-kitchen-11/leafy-greens-rated. My favorite way to eat greens at this time of year, when they are fresh from my own garden or a nearby farmer’s garden, is raw in a salad. 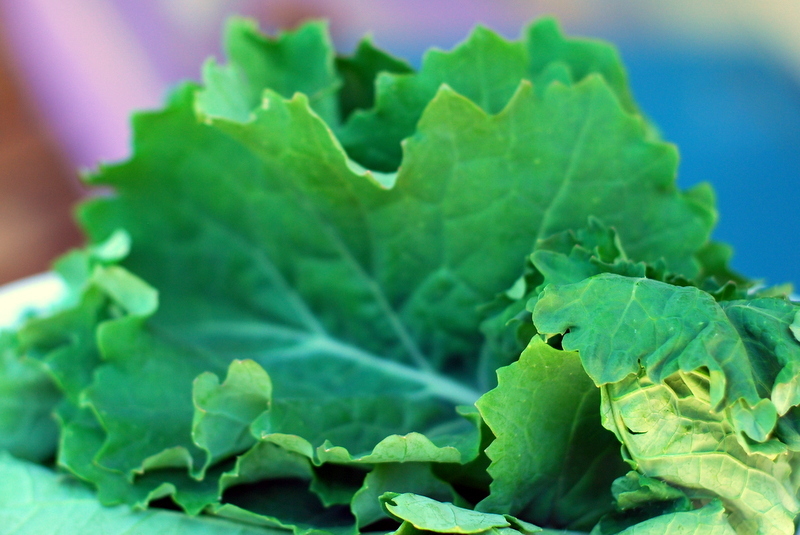 Kale and Swiss chard have lots of nutritional value, but they can be a little overpowering to eat raw. To balance out their strong flavors, I like to mix them with different types of lettuces, which have perhaps less nutritional value, but a milder, sweeter taste. I also like to be creative and add whatever kind of toppings we have on hand. 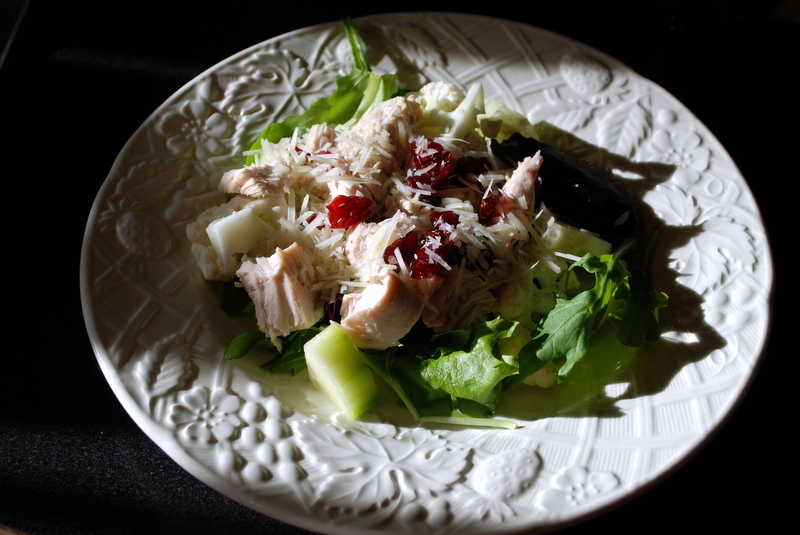 Shredded Parmesan cheese, sunflower seeds, pine nuts, dried cranberries, dried cherries, diced apples diced cooked chicken, and chopped chives are all good options. 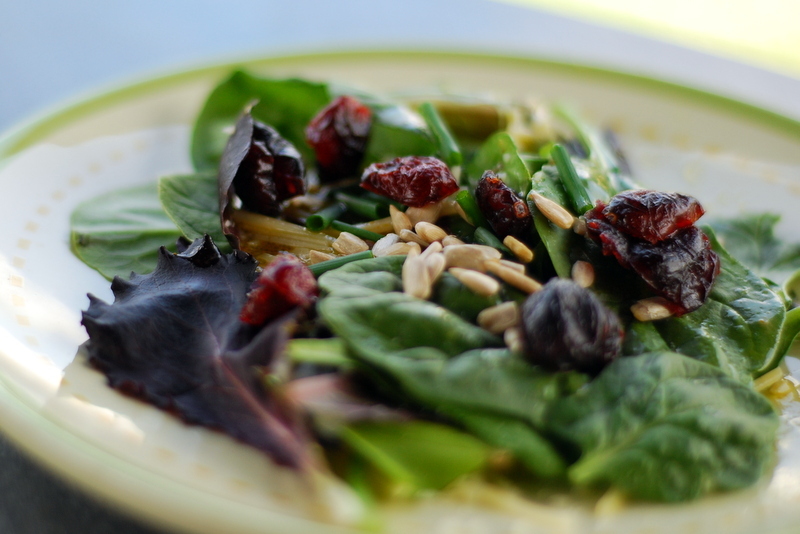 A good salad dressing also really helps the greens taste delicious. I have posted a recipe for a very easy homemade salad dressing, and there are tons of variations out there that you can play with. It is empowering to make your own salad dressing, especially when it tastes as good or better than the commercial dressings, and with more natural ingredients. Greens straight from the garden or farmers market are the freshest, but they require a little extra washing to get all the soil out. To me, it is worth it.